The Annual Farm Harvest Festival on the 7th October was attended by 200 Visitors. The school cook made a delicious soup from the farm pumpkins, tomatoes and chillies, there was also BBQ corn and pots of mixed farm salad to eat. Activities included the smoothie bike, making harvest head dresses and bird feeders, apple pressing and a fantastic harvest display of farm grown produce. Many Phoenix students who attend the after school Youth Club lent a hand running the event. The weekly ‘Pop Up’ fruit and veg stall is going well. 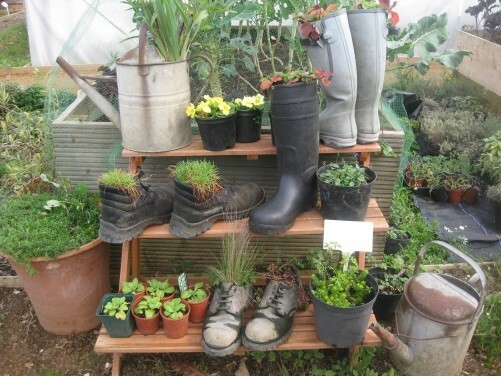 It is every Tuesday morning between 10.30am and 12.30am at the farm gate, and is run by volunteers Montrey and Fakia. Seasonal produce for sale this month has included carrot, beetroot, squashes, courgettes, tomatoes, chillies, Kale, chard, cabbages, winter salads and herbs. The Tuesday and Friday morning volunteer sessions have been attended by up to 12 local people. They have been planting garlic, onions, peas, and broad beans and sowing different salad leaves to harvest over the winter. They have also been pruning, composting, digging and keeping the farm looking good. Small groups of volunteers from Taylor Woodrow have been coming one day each month to help with construction jobs. This month they built supports for the new raspberry canes and completed the renovation work on the old polytunnels. The popular Saturday and Thursday evening sessions have now finished for the winter months. During half term 20 children took part in activities on the farm via the SAFE Holiday Scheme. They really enjoyed carving spooky faces on pumpkins and getting soaking wet whilst apple bobbing! A Halloween Party was held on the farm on 31st October, as part of the Big Green Local Project and was attended by 10 local families. All the children came in fancy dress and enjoyed a treasure hunt, face painting, spooky crafts and popcorn making. The Phoenix Land Based studies students having been conducting some organic pest control experiments on the farm. Charlotte Parsons has taken a lead role in caring for the rabbits and chickens. As part of her work experience with Soup4Lunch, she has made green tomato chutney and various soups using farm produce, including sweet potatoes she helped to grow in the summer. The Year 7 Lunch Club has resumed on Wednesdays and has proved as popular as ever, with up to 15 students attending each session. Liz Clark is now assisting with the sessions. The students really enjoy caring for the rabbits and chickens. They have been planting pots of bulbs to take home and planning what they would like grow. 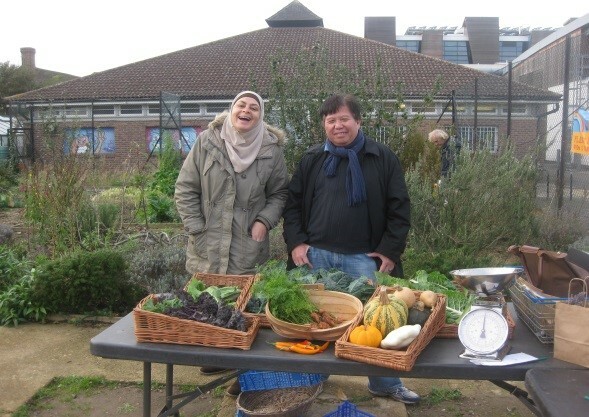 Community groups we have worked with include Hammersmith Community Gardens Association, Grow Well, Food Explorers, Soup4Lunch, QPR, Big Local & the BBC. Food Explorers is a local group that works with primary school students to get them excited about food through interactive learning. We ran sessions at the farm with them for 60 children from Thomas Jones School. They harvested and tasted farm produce, made herby scrambled eggs and pedal powered breakfast smoothies. A big welcome to our new chickens, that arrived at the beginning of the month. They are different breeds from our previous chickens. We now have 3 Light Sussex and the other 3 are Rhode Island Red crossed with Black Rock. Jeff (Facilities Manager) and his team, worked hard to make their coup fox proof and cosy! We are looking forward to lots of tasty fresh eggs. Our thanks go to the Salt Yard Group for their continuing support, of our community based programmes.